Your most frequently asked questioned are answered here. If there a question you want answered that's missing from this section, you can contact us and we'll add our answer to this page. How does this work within the continuity of the official series? Imagine our interpretation to be an alternate universe, where none of the Doctors looked like Colin. Where David Tennant wasn't even thought about. Where the Shalka Doctor still wasn't canonical. The premise is the same. This is still a Time-Lord with a TARDIS on the run from his people. There are still Daleks and Cybermen and Eric Klieg. But the way events play out is very, very different. We consider our stories too wacky/out there to be canonical with what's been broadcast - even from when Douglas Adams was script editor! With that in mind, please support the official releases brought to you by the BBC, or we'll get into trouble. What is the chronological order of these Doctors? Original > Fruit Pastel > Sorry > Pompous > Dynamite > Quintessential. Will there be anymore Doctors coming? We've got quite a few at the moment, each bringing a unique blend to our audios. We certainly won't bring a new incarnation without thinking a great deal about it, as we don't want to get bogged down with too many Doctors. Eventually we'd love to add a new Doctor to the mythology we've been building, but not for some time, and not without a great deal of thought. Do you plan on doing anymore regeneration stories? Regeneration stories are exciting stories to tell, but we don't want to waste these opportunities. We'll be thinking very carefully about what kind of story we want to tell, as this is essentially the prior incarnation's swan song - an audio we will not be able to make again. What do you say to a War Doctor parody? Sort of like a Time War series. We love John Hurt's War Doctor, and yes, the Time War also operates as a Classic/New Series divide for us. We don't have any plans at this time to show our interpretation of the Time War - it's merely something that has references and in-jokes surrounding it. As far as we're concerned right now, The Pompous Doctor regenerates into Dynamite. Where did you get the idea to start producing these audios? We'd already invented The Pompous Doctor (then known as the 5WF Doctor) for a 5WF video, and we found ourselves going a bit mad with the immense potential he could have - his own stories, his own monsters, etc. 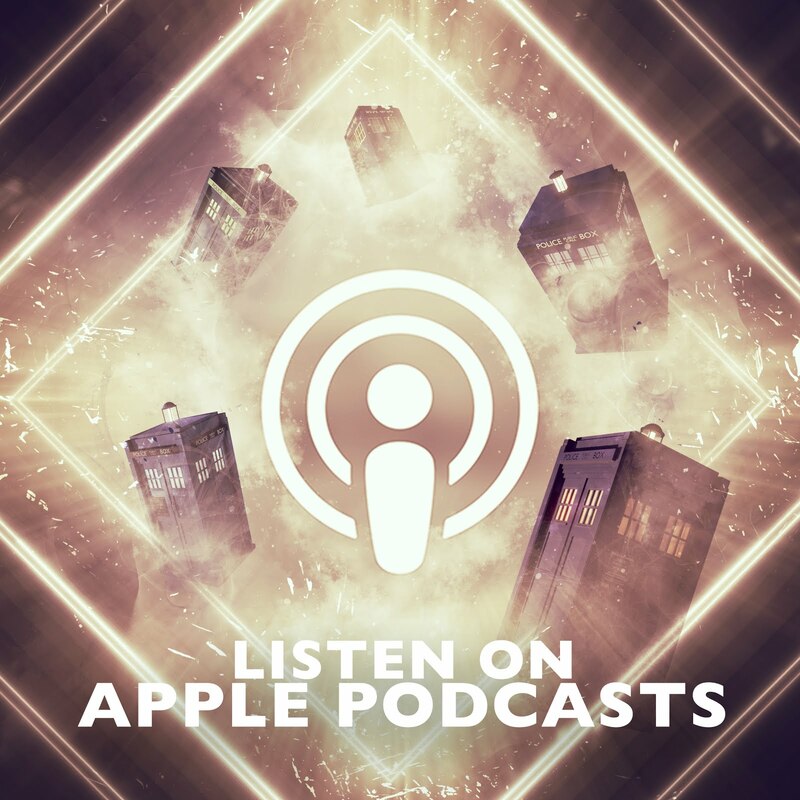 Our influences include Big Finish and the DAM Productions audio adventures, but we were mainly drawn to these because they were essentially such an easy way to tell the dozens of stories we wanted to tell without putting a limit on anything due to budget. It's a highly enjoyable and indulgent process. We know Fruit Pastel is Tom Baker, The Sorry Doctor is Peter Davison and The Pompous Doctor is Colin Baker. But who is The Dynamite Doctor? A lot of people have obviously caught onto the fact that our Doctors are in fact channeling incarnations from the official television series. 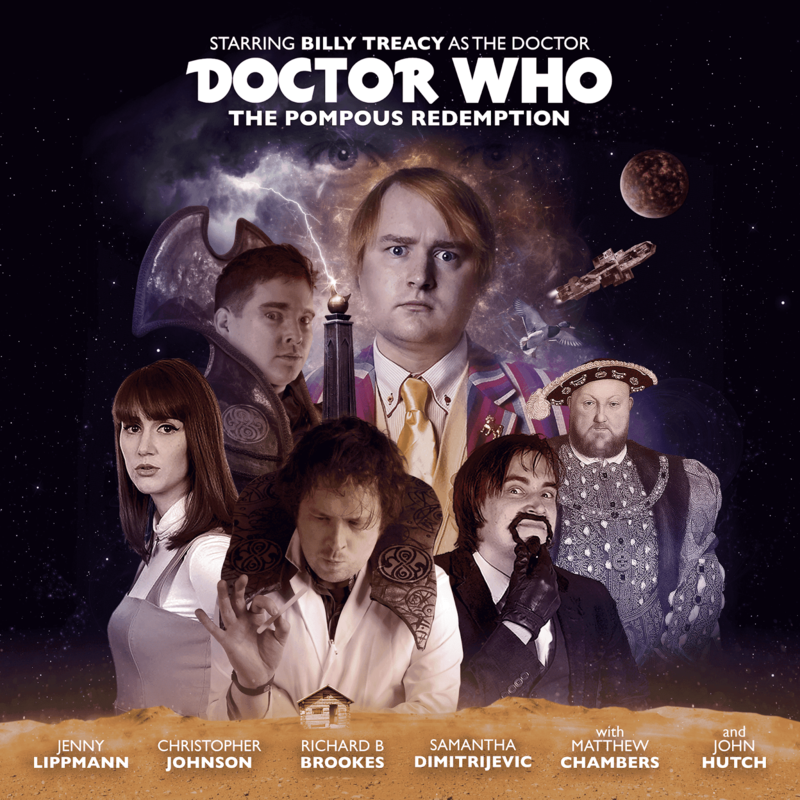 It is easy to see Colin Baker's incarnation in Pompous, for example. However, it's not quite as straight forward as this. Most of our Doctors pick up little traits from multiple Doctors, asides from good old Fruit Pastel. That's not to say that we have merely carbon copies of said Doctors - we like to exaggerate and add to those incarnations, rather than mimic them. Where did you get The Pompous Doctor's striped coat from? Who voices Martin the Pug? Sadly, none of us own a pug, so we've have to use samples from across the internet. We do hope that the pug that's been recorded is called Martin though - he's certainly very good at staying in character.